January 13, 2013 January 6, 2015 by Tara R.
The room was designed to intimidate. The oversized partners desk and chair made any visitor feel Lilliputian. I sank into the antique, leather wingback opposite the solicitor who ruled the domain, my toes barely brushing the floor. The Wallis family retainer for generations, this would be the final last will and testament Raymond Blackburn, Esq., administered as executor. Effie’s heirs had challenged my inheritance, and attempted to invalidate her bequest to me, a mere domestic. They refused to acknowledge that, as her caregiver for the past 10 years, I had been her constant companion and confidant, whereas they were only visitors on gift-giving holidays. Their main concern was that she had left my gift open-ended. I was given first-refusal over all her material assets. That was why Blackburn summoned me into his realm of old money and greed. It was time for me to choose. From a large, black attaché, he removed a piece of crisp, white parchment, and slid it across the desk toward me. Struggling to lift myself from the confines of the chair, I managed to grab the table’s edge and drew the paper closer. The spreadsheet listing all of Effie’s valuables filled one column – antiques, fine china and silver sets, jewelry and original artwork by the masters. In the column to the right, each item’s appraised value was noted. Amassed by her late husband, Effie was unconcerned with material wealth. If she had her way, it would all be sold at auction and the proceeds given to charity. The conditions of her will were determined by her husband at the end of his life, she was only able to add a codicil to include me in her coterie of beneficiaries. Running a finger down the list of chattel, I didn’t find what I was looking for, and pushed the sheet away. “It’s not there,” I told him, standing with as much grace as I could. A frown creased his already deeply wrinkled face, as he tucked the paper back into his briefcase. “What are you wanting to find?” He leaned back against his chair, steepling his fingers. He was still able to look down at me from his lofty position. I described the item, saying it was the only thing I wanted that belonged to Effie. He continued to frown, but I saw from his subtle reaction, he knew what I was asking. “It holds great sentimental value for me.” I stood firm, refusing to let him dissuade me. 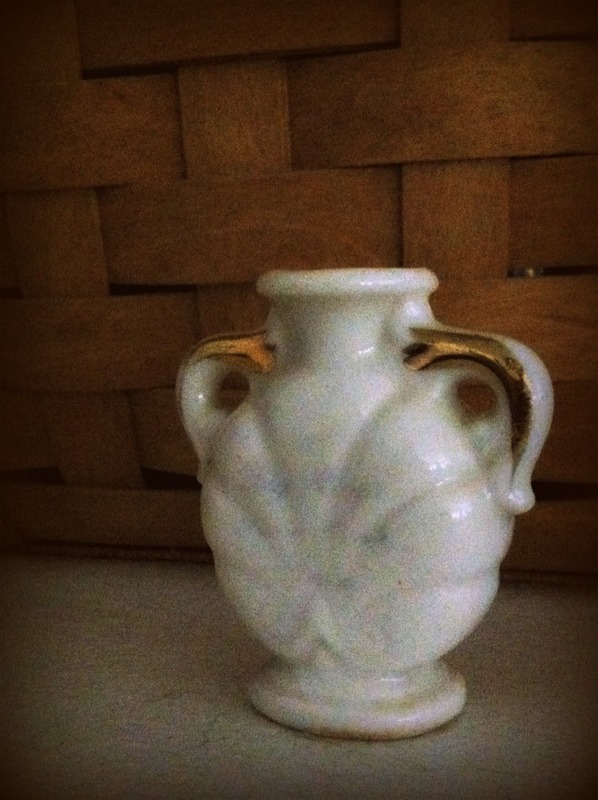 His brief phone call to the estate’s appraiser, revealed that the small, porcelain vase had no, real monetary value and could be packaged, and delivered to me within a few days. Unwrapping Effie’s treasure, I placed it on top of my bureau. A simple little trinket, but I knew she had cherished it above all else. I gave Dara this prompt: It’s nothing a second cup of coffee won’t cure. Great love story. Loved how the figurine was worth pennies compared to everything else, but that’s what she wanted.